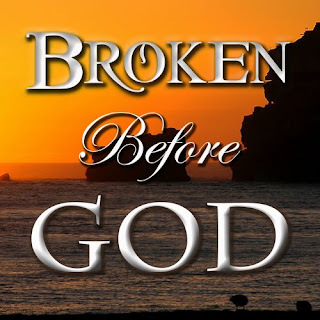 What do you think it means to be "Broken Before God"? Do you see that as a good thing? 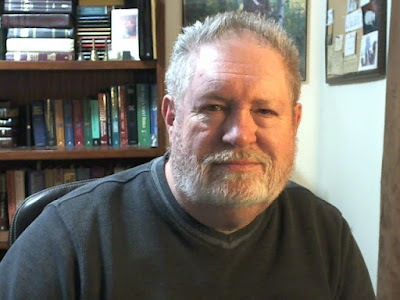 Is being broken before God a one-time event or is it more than that? Brokenness is a process we go through, and it can take a few years, or it can take decades. It is the point where God exposes our foolish and feeble attempts to have our core needs of love, acceptance, self-worth, and security met according to our own design. He also shows us how truly impossible it is for us to live the Christian life we want to live, trusting solely upon our own strength, understanding, and wisdom. Brokenness is a gift from God, wherein He exposes our sandcastles and causes them to fall, so we can learn to rest in who we are in him, and who he is, and build our houses on the only solid foundation of Christ. "Everyone then who hears these words of mine and does them will be like a wise man who built his house upon the rock; and the rain fell, and the floods came, and the winds blew and beat upon that house, but it did not fall, because it had been founded on the rock. And everyone who hears these words of mine and does not do them will be like a foolish man who built his house upon the sand; and the rain fell, and the floods came, and the winds blew and beat against that house, and it fell; and great was the fall of it." Brokenness is necessarily painful, because ever since Adam and Eve fell in the Garden of Eden all human beings ever born have an inbuilt desire to rebel against God and try to meet our needs in our own ways. We struggle to surrender control and fail to understand that --even as Christians-- we are only fully alive when live in Christ and He in us. We see this in John 15, 1-4. "I am the true grapevine, and my Father is the gardener. He cuts off every branch of mine that doesn’t produce fruit, and he prunes the branches that do bear fruit so they will produce even more. You have already been pruned and purified by the message I have given you. Remain in me, and I will remain in you. For a branch cannot produce fruit if it is severed from the vine, and you cannot be fruitful unless you remain in me." God has all kinds of ways He uses to encourage us and invite us to accept His love for us, each and every day of our life. I hope you are open and receptive to this topic, as God reveals to us, through us, and in us, how such a painful state of heart can become one of the greatest mile-markers in our life; both individually and collectively, in the body of Christ. Know for sure that striving to live according to God’s desire for us through faith in His Son, will be the greatest challenge of your life -- because the challenge lasts our entire life. But also know this, that Christ gave His all in loving obedience to His Father. When he broke the bread at the Passover meal, He said, "this represents my body broken for you." And when He passed the cup, He said, "this represents my blood that I will shed for you." Nothing of great and lasting value, ever comes easy. A price must be paid; a sacrifice must be made. Are you ready to sacrifice all that you are so that you can be reconciled to Him and receive all the love God has for you?